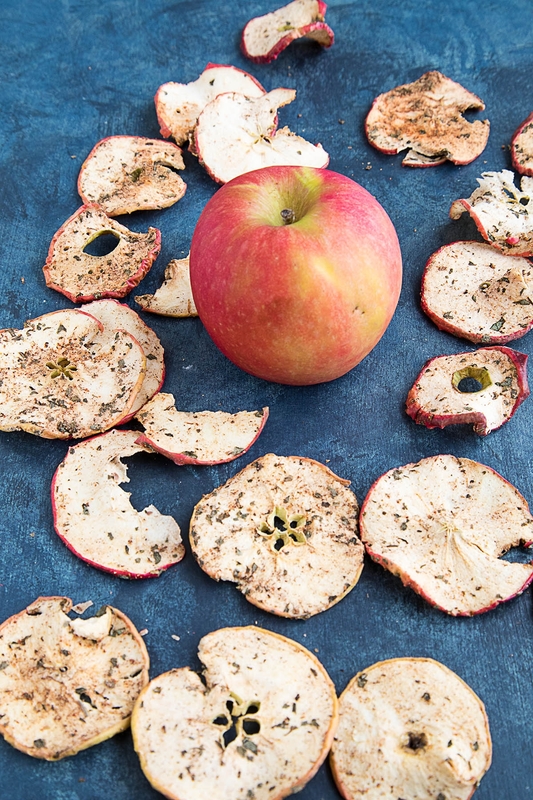 Make your own healthy apple chips at home with this recipe using your dehydrator. They’re crunchy and spicy, the perfect snack. 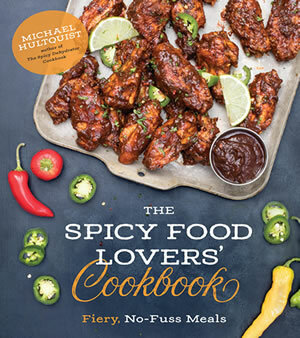 Spicy snack alert! Get ready for your new favorite spicy snack – Dried Apple Chips. Crazy, right? Who would think something so simple and good for you could be so incredibly tasty? And satisfying? The fact of the matter is that many dried foods are inherently delicious, or at least they can be, but for some reason they’re pretty darned expensive at the store. My neighbor was just telling me a story about her daughter who does her best to live a healthy lifestyle and is obsessed with apple chips. She loves them, but DANG are they pricey. 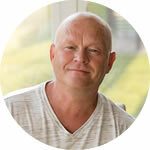 She and I wondered – why does eating healthy have to be so costly sometimes? Well, it doesn’t HAVE to be. Not when you own a dehydrator. You can make your own crunchy, snack-y apple chips at home anytime you’d like, and you can spice them up with all of your favorite ingredients, especially now that apples are practically everywhere. Don’t you love apple season? So apple chips they now ARE, and you can make them, too. It’s a simple process, really. 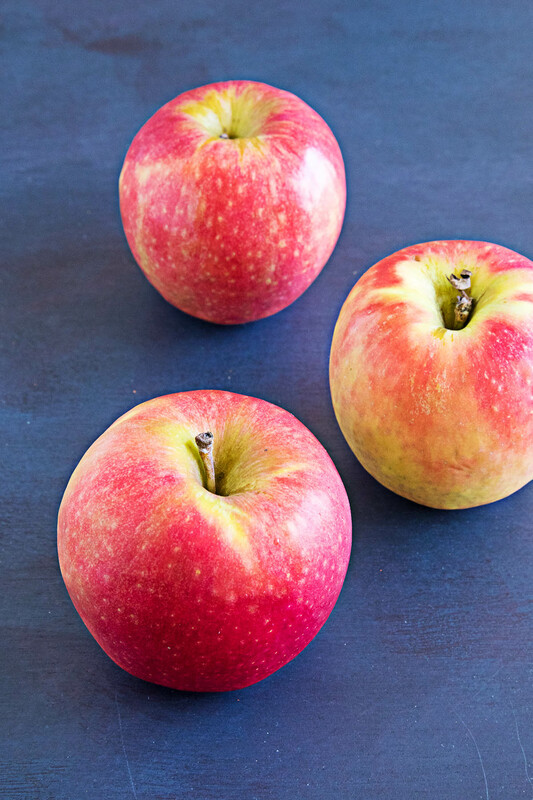 In a nutshell, you’ll rinse and dry your apples, then slice them to 1/4″ slices. Toss them in a bowl with lime juice then sprinkle them with whatever types of seasonings suit your taste buds. For me, I love the combination of apples with ginger and nutmeg – such CLASSIC combinations – but I also love the fresh pop of mint and basil, and the zesty heat of chili peppers (obvi). I used a ghost powder mix from peppers I dried using my dehydrator (see how awesome a dehydrator can be? ), but feel free to use whatever heat level you prefer. That goes for the spice choices. Use whatever you’re in the mood for. 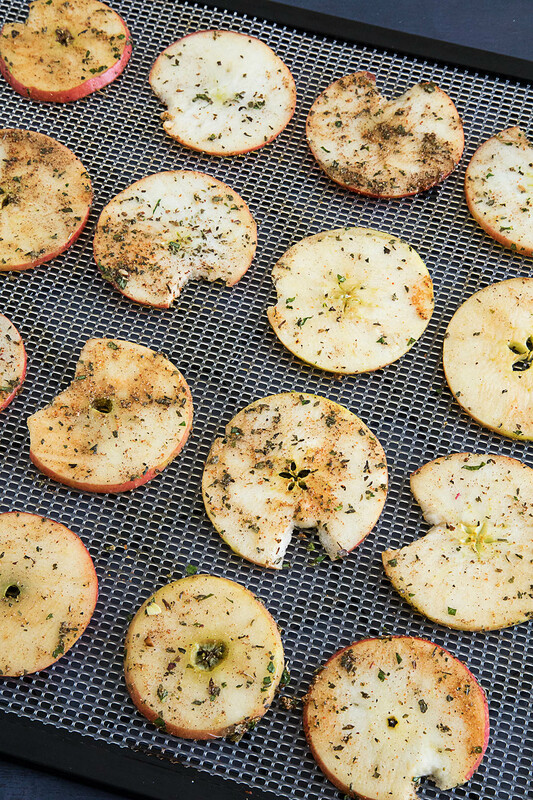 Once the apple slices are nicely coated, spread them out over your dehydrator trays, like so. Pop them into your dehydrator at 135 degrees F and let them dry for 10-12 hours or so. Your dehydrator will probably have a “fruit” setting, so be sure to follow the instructions for your particular dehydrator model. Once they’re dried, store them in airtight containers, though to be honest, they probably won’t last very long. As I mentioned, they’re crunchy with a nice level of zing to them, and you know what? They’re a little bit addictive, so you might want to double or triple this recipe. Great snack, my friends! Let me know how your dried apple chips turn out. I hope you enjoy them. I use and highly recommend both of these. 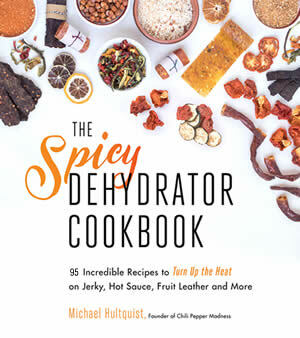 Shout out to Page Street Publishing for working with me on the forthcoming “Spicy Dehydrator Cookbook”. 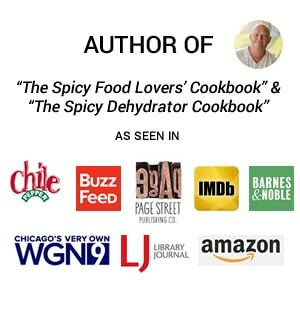 I will update as needed, but my book is due out in January 2018, and will include close to 100 recipes you can make with your dehydrator, including a number of sweet and spicy fruit leather recipes. I hope you will check it out! Here is a pre-order link. 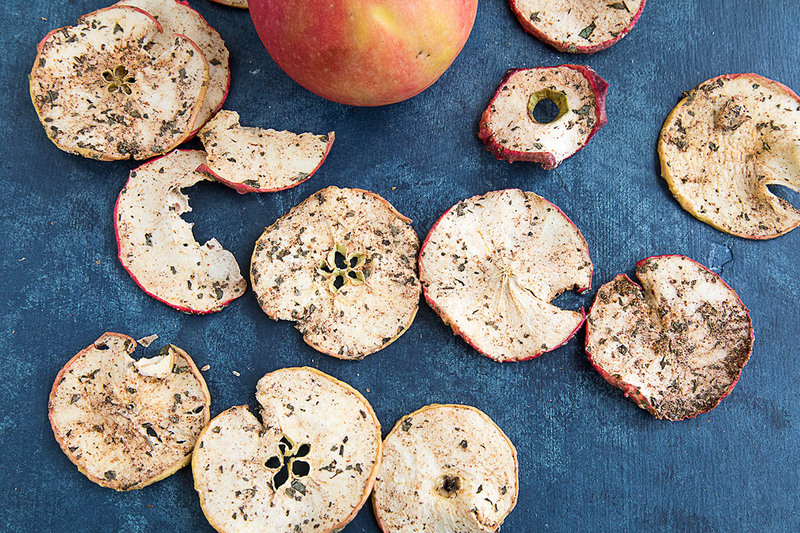 Make your own healthy apple chips at home with this recipe using your dehydrator. They're crunchy and spicy, the perfect snack. Slice the apples into ¼” slices. It is best to use a mandoline to achieve even slices. Toss all the ingredients in a bowl. Ensure that each apple slice is evenly coated with the herb blend. Set onto dehydrator trays and dehydrate at 135 degrees F for 10-12 hours, or until the apples are dried through. Enjoy! These are great snacks! I’ve tried it several times to make apple chips in my oven. But it never worked. I also set the oven at the lowest temperature and I also kept the door cracked. Now I’ve a dehydrator with a horizontal drying system, stainless steel trays and a tranparent door. Like this one and now I got perfect apple chips. I would highly recommend a dehydrator to make apple chips. 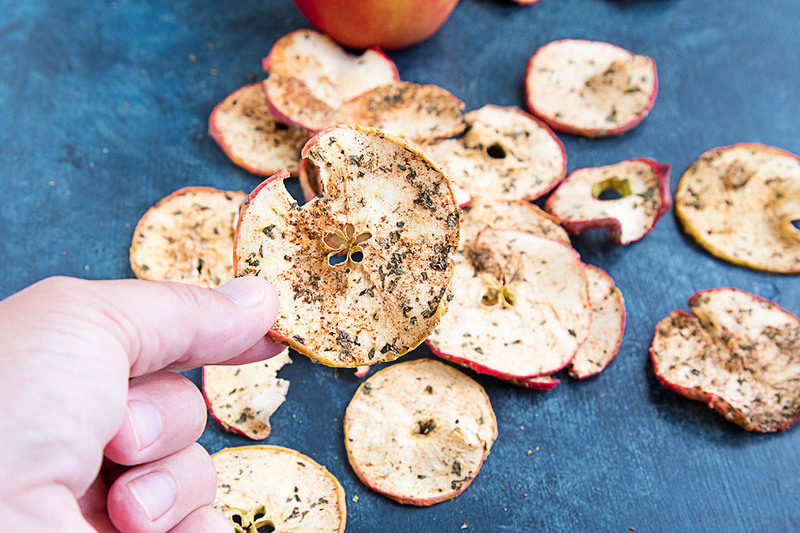 You don’t really need a dehydrator to do apple chips. I’ve done them several times in my oven set as low as it will go, around 170 degrees. They turned out great. Thanks for the seasoning suggestions! REPLY: Rita, yes, you can use your oven, though it’s best to keep the door cracked because 170 degrees is a bit too hot for drying most foods. Air flow is pretty important, too. I’ve found a dehydrator is much more consistent and controlled, and uses less energy. But ovens work, too! — Mike from Chili Pepper Madness.